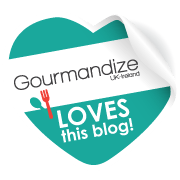 When I started this blog I would never have thought that I would be posting a recipe for shellfish. I have never made a single fish or shellfish dish, which may sound odd coming from someone who loves food and cooking. I’ve tried on a number of occasions different fish and shellfish but every time, it just didn’t taste right and some of it was too ‘fishy’ tasting for my liking. When my Dad was over visiting this Summer I asked him if he could make me a fish or shellfish dish as I really wanted to try it again. Well he made three amazing dishes and has converted me!! I’ve only tried three different varieties: tuna steak, prawns and salmon. I loved the tuna steak and prawns. The salmon I liked but had a stronger taste than the tuna, however I’m still going to try different recipes using it. 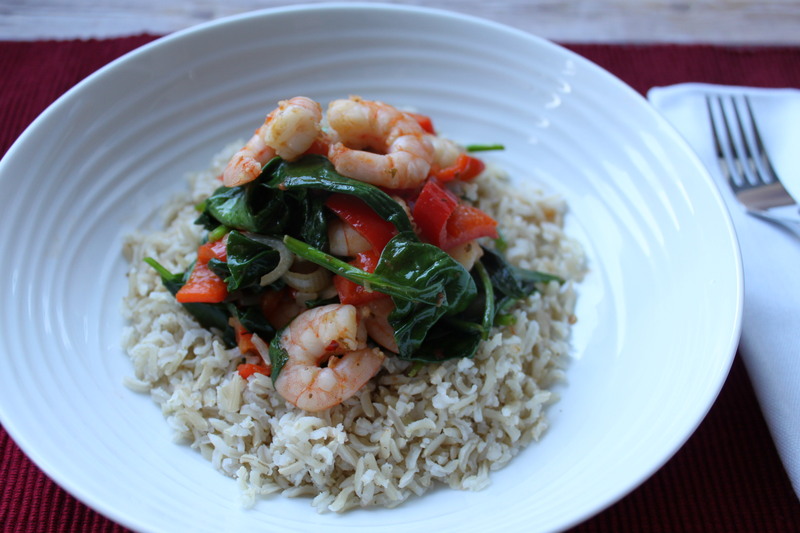 This recipe is super quick to do and if you don’t have any harissa in the cupboard a red chilli finely sliced works well too. Saute for 2-3 minutes, stirring constantly so the shallot doesn’t burn but the pepper and shallot start to soften. Add the prawns and the harissa paste and stir well until all the prawns are coated in harissa. 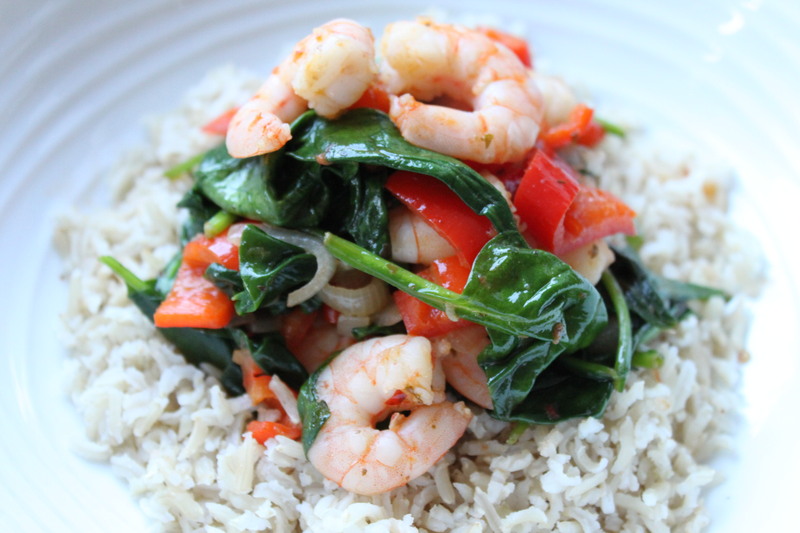 Approximately 1 minute before the prawns are fully cooked, add the spinach to the pan and stir until wilted. Squeeze over the lemon juice and remove from heat. Serve with either brown rice, quinoa or pasta.